Inspiring young musicians and advocating universal access to music has always been an important mission for Gustavo Dudamel. 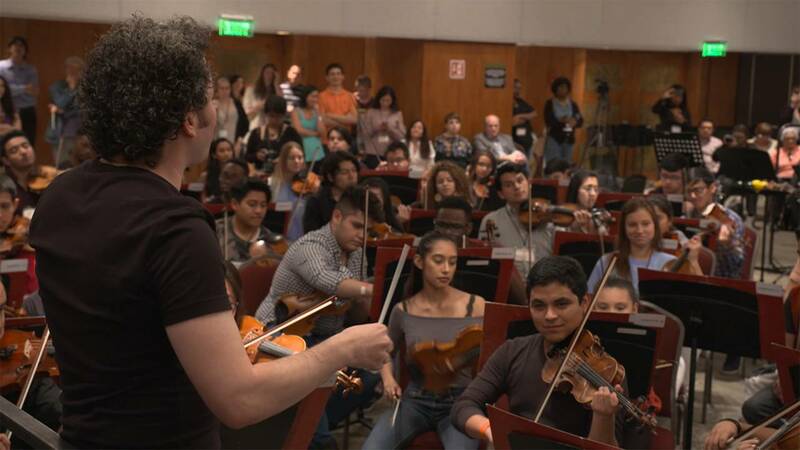 In Mexico City, he put four days aside from his Latin American tour to mastermind the "Encounters workshop", with funding from the Gustavo Dudamel Foundation. 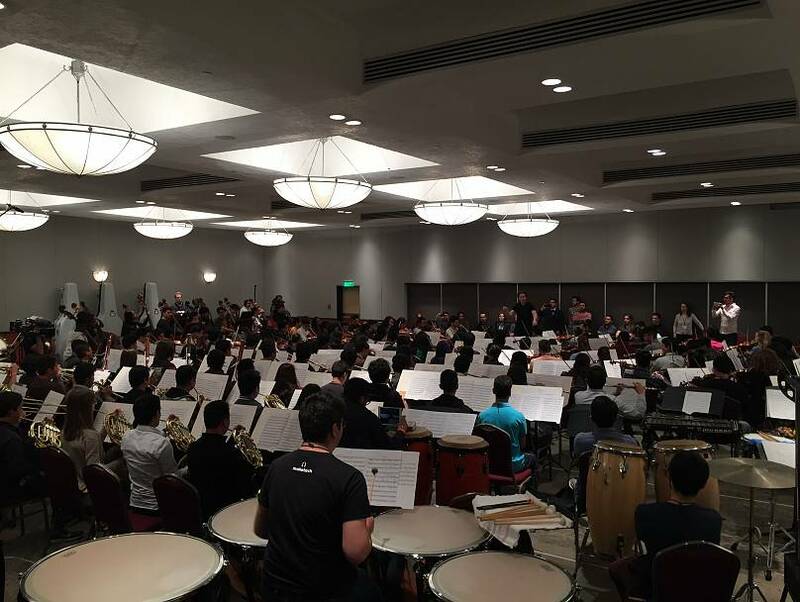 The spectacular event allowed 160 young musicians from across the continent gather to rehearse Dvorák’s “New World” Symphony under Dudamel's passionate lead. Dudamel has been travelling across the continent with the Vienna Philharmonic Americas tour, from New York to Buenos Aires, aiming to break boundaries and unite cultures. The students were selected from education programs throughout the Americas, the majority coming from the U.S. and Mexico. Dudamel handpicked an international faculty, which included noted instrumental players, soloists and educators. The inspirational workshop culminated with a Sunday morning concert in the Bellas Artes for the families and friends of the young players, plus dignitaries and press. During the workshop, Dudamel shows the strings how to create a tremolo, like a bird rapidly flapping its wings but gives the sensation of floating. He then unleashes the full brass and percussion with a buoyancy that competes with the overwhelming colour and spirit of Mexico City street life. "I grew up as a young musician in Venezuela in this beautiful amazing programme that is El Sistema, the youth and children orchestras. 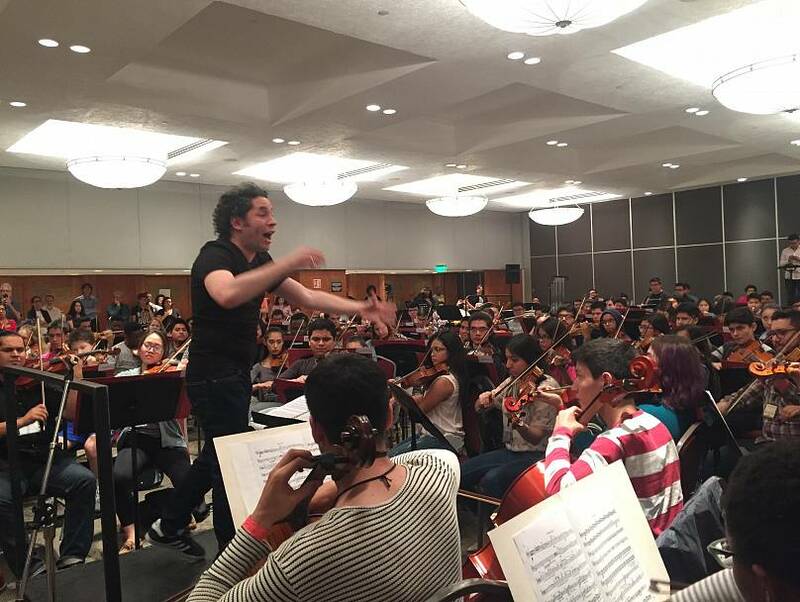 And for me it is very important to share that, to share that way to learn music, to connect with people and to learn from others and improve everything as a team;" said Gustavo Dudamel. He said; "That was, for me, how I learned it to do music and that is why we are doing this because this is the way for all of them to share what they know, to enjoy and to know that they are not alone." "I’m not so young but I’m still young. I’m not so far from them and I have to say that when I see a child playing in an orchestra I see myself there. I connect immediately and I know and I can feel I can be inside of them, in their brain but more in their soul, in their heart." He said; "That is why for me it is very important because more than what I give to them or what we can give to them they give us everything. That is inspiration and that is life"
"For me, the day that every child in the world, every young person, has access to music as something natural, as part of the life, it will be the best;" Dudamel added.